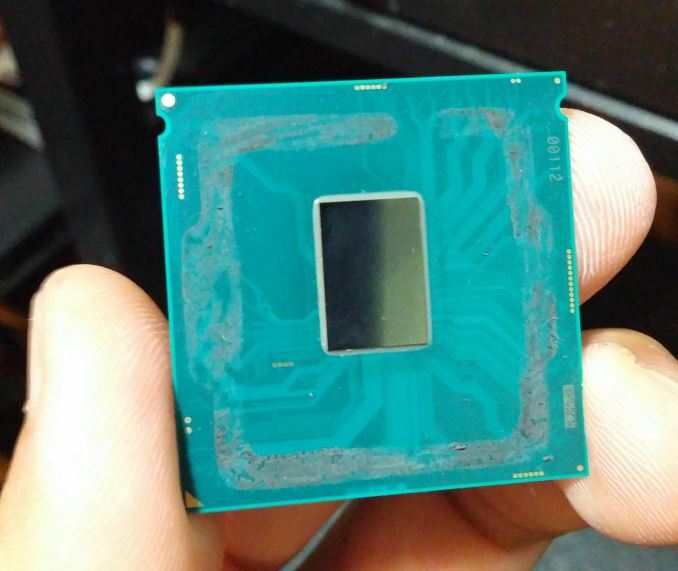 As a short side piece from our in depth review on Intel's 6th Generation Core processors, codename Skylake, the well-known overclocker Splave has posted some very interesting images on the processor itself. We confirmed we are free to use the pictures below from him. Intel Broadwell-H GT3e 4C 14nm 4 GT3e ? ? 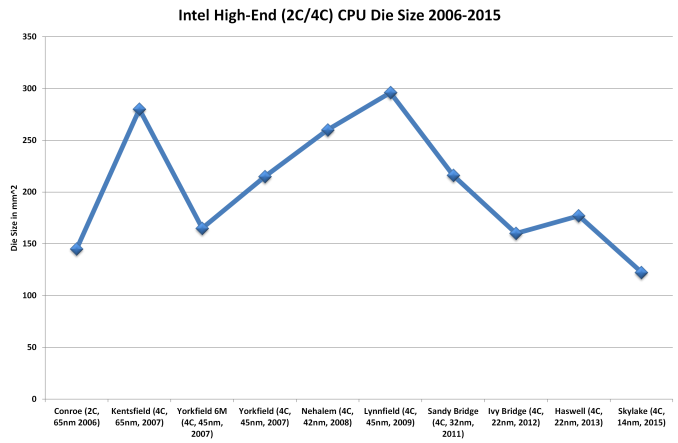 This makes Skylake the smallest die size for a quad core desktop processor from Intel we have seen, and that is including the integrated graphics in that calcualtion. Depending on the exact architectural details, previously in Haswell the die area was a near even split for cores and graphics after the L3 cache and IO functions (PCIe, Memory, DMI) were removed. We won't know exact transistor numbers until they are disclosed at Intel's Developer Forum in mid-August, as well as a false color image die shot to show how much die area the main parts of the architecture are using. Although given the similarity to Haswell in terms of feature set (it seems to be similar with a few minor additions such as fixed function units, slightly different libraries, dual memory channels, DMI 3.0, etc. ), if we take the number of transistors that GT2 Haswell had (1.4 billion) and put them in the die area we measure from the image, this comes out to a 11.4 million transistors per mm2. 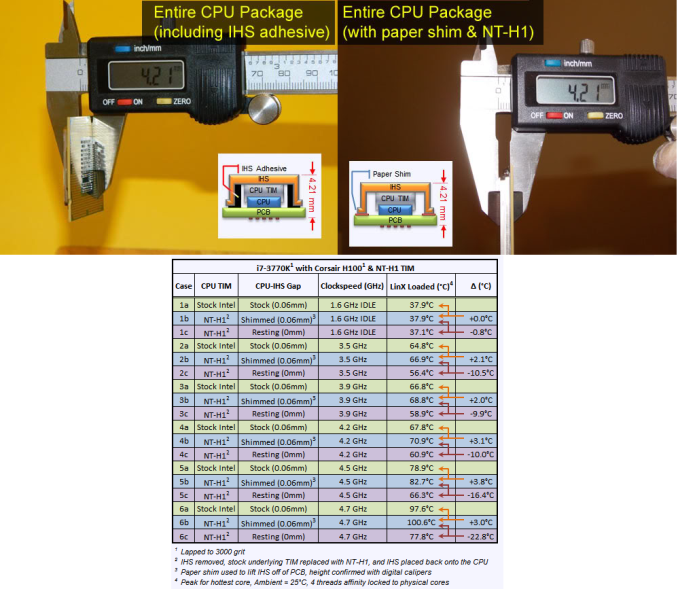 According to PCWatch, the package thickness of the Core i7-4770K is 1.1mm, compared to 0.8mm for Skylake. 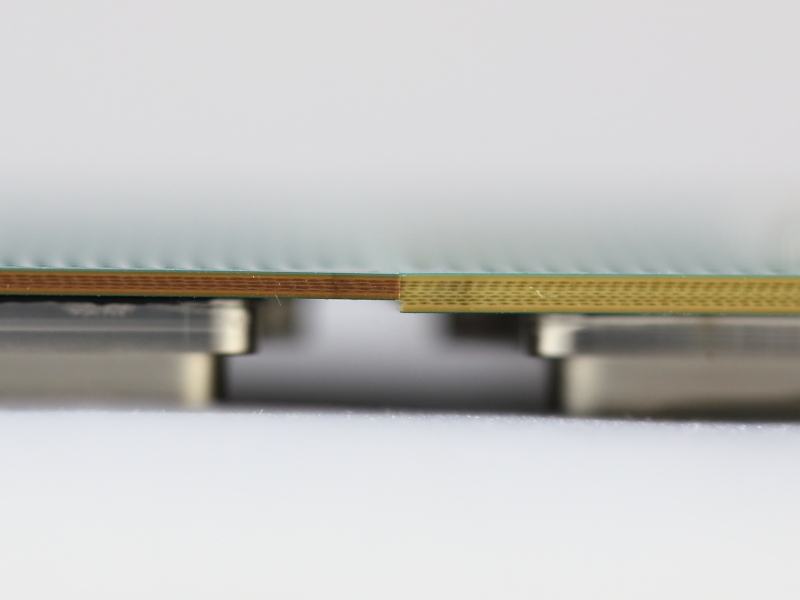 This is a direct result of using fewer PCB layers, and here we count five for Skylake and eight for Haswell. There could be several reasons for this. The removal of the fully integrated voltage regulator (FIVR) might reduce the number of PCB layers for power planes. The nature of the 14nm die might facilitate a thinner package as well. The cynical answer is that it is used to drive down cost. 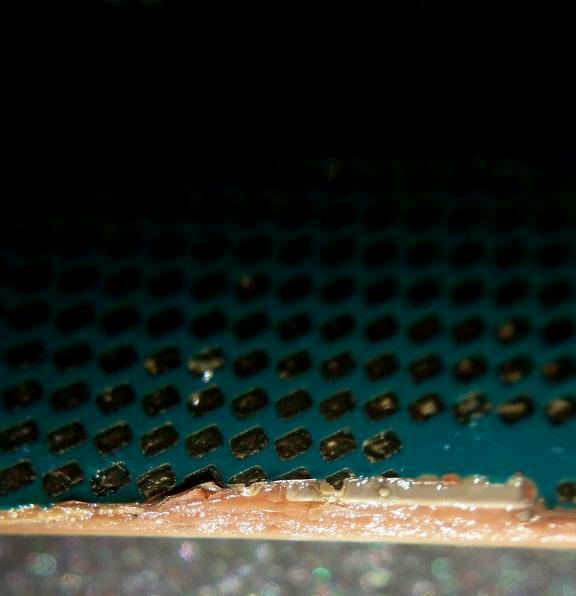 In the motherboard industry, a PCB with more layers is substantially more expensive but simplifies design when there are more features - there's also a side argument if more layers or fewer layers is better for overclocking. If we transplant this thinking to the processor, it becomes a balance of cost vs. complexity. Either way, the retail price of the processor is still relatively consistent with the previous iterations. Another thought to add to the mix would be if Intel has plans in the works to launch higher end processors based on Skylake (Kaby Lake?) in the future. The slight change in Intel's processor naming scheme (4770K to 6700K, as in 70K to 00K) also points to the potential move later in the lifetime of the product. The only hint in the naming scheme from Intel is that the 'processor numbering reflects that these processors belong to the 6th Gen Intel Core family'. 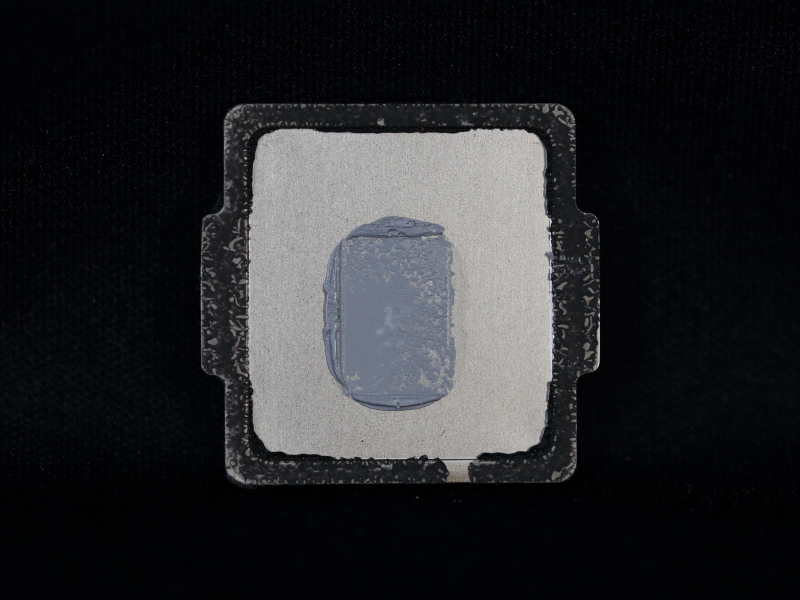 Instead, a razor method (and something warm such as a hairdryer or the bean bags that iFixit uses to warm up glue in smartphones to take them apart) to cut through the black adhesive between the package and the IHS is suggested and it what was used for the CPU above. 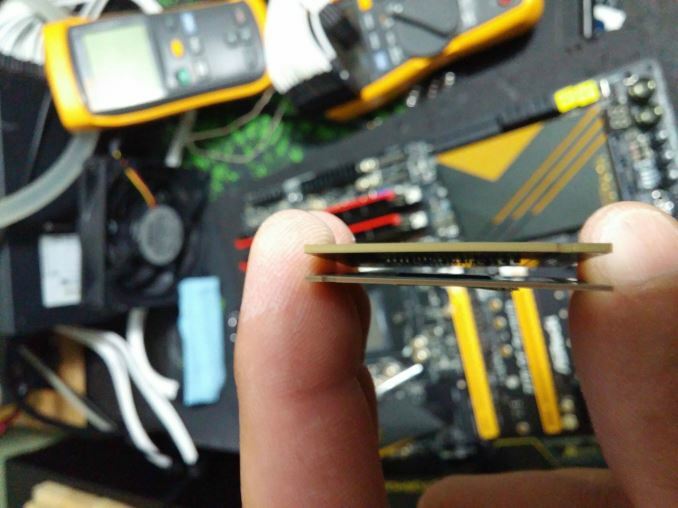 As there are no FIVR resistors to worry about on the top of the package, the first resistance a razor blade will encounter after the black adhesive is the silicon die itself. All that being said, over at PCWatch they successfully have used a vice method. 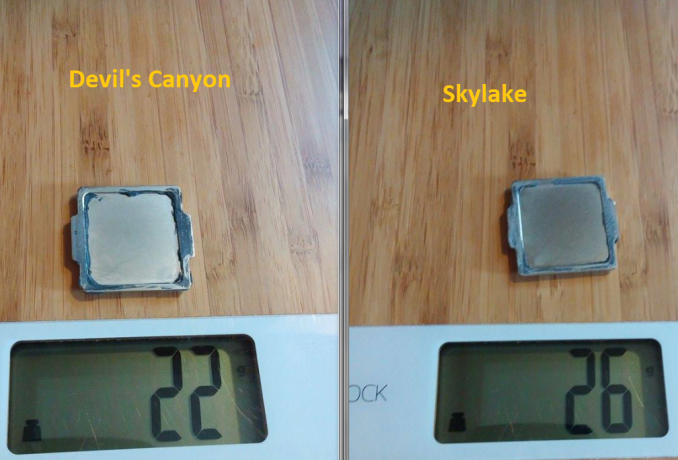 Interestingly the heatspreader for Skylake is heavier than that from Haswell by nearly 20%, moving up from 22g to 26g. Given the copper mass that usually sits on a high end processor this should not matter much, although basic aluminium coolers might see a small benefit here by virtue of the minor extra mass. This might also just be that the mounting requirements for Haswell and Skylake are the same, and the extra mass comes from the added z-height required to maintain the mounting as before. So why are we talking about removing the heatspreader? Back with Haswell (as well as Ivy Bridge to a degree), it was discovered that the thermal interface material between the silicon die and the heatspreader was both an insufficient amount and lower quality than previous generations, as well as the heatspreader being far away from the CPU due to the black adhesive, causing more air bubbles and poorer heat transfer than is optimal. 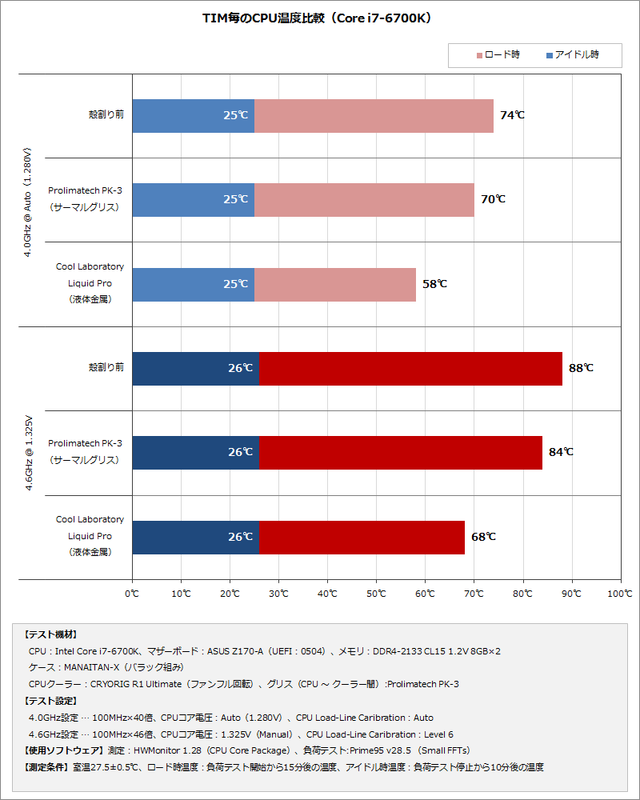 For a stock processor, this difference has little effect to the use of the system, but for overclockers it meant that they were more thermally limited than silicon limited with their overclocking. Devil's Canyon changed that - here was a better binned Haswell processor with a higher quality package, giving a ten degrees cooler system at load. It is worth noting that previously on certain platforms Intel had been providing a mixed metal interface (generalized as a soldered interface) between the silicon and the heatspreader, which is the best but most expensive option. If the cost of the interface is reduced by 0.1 cents, then that's a significant saving on millions of processors. Devil's Canyon was a small subset of sales, so spending that extra for that specific crowd could be seen as beneficial to Intel's perspective by overclockers. This throws up some questions - is this just a result of design decisions for cost, or is there a Devil's Canyon type processor coming later in the design cycle? "Die size aside, Skylake also has a substantially thinner package than Skylake"
Yeah, it seems a bit weird to gimp the OC potential of these just to save on the thermal paste. 1. Whats the overall process time for the two methods? Do you need to leave one solution lying around for an hour before the CPU can go to the next process step, while the simpler solution can just continue without delay? Does the application process of the paste itself take much longer for the better solution? 2. Are there any impacts on the work environment? Is the better paste / soldering creating fumes that need to be removed and filtered by a more costly ventilation system? 3. What are the failure rates of paste application? Will the application of the better paste with the existing machines destroy a few CPUs? Overall, I think (I hope?) that the lower material cost of the paste is the least likely reason for the chosen design. I remember last time with Devil's Canyon, they weren't able to replicate the processes that resulted in enthusiast-friendly pre-Haswell chips. They had to emulate those techniques with something new that performed close enough. So it wasn't just about spending that extra penny. There are other costs such as additional equipment and materials (and training) that wouldn't normally be necessary.